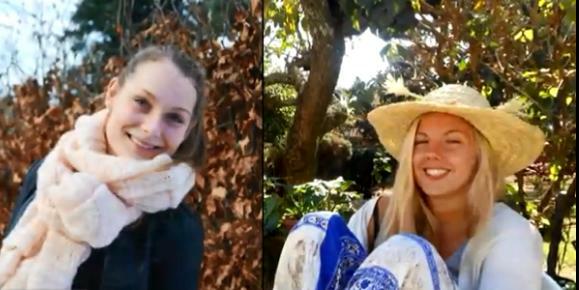 COPENHAGEN, Denmark -- A video that allegedly shows the killing of two Scandinavian university students in a remote part of Morocco's Atlas Mountains is likely authentic, Norwegian police said Friday. Norway's National Criminal Investigation Service has been investigating the footage circulating on social media. "There is no concrete evidence indicating the video is not real," it said. Morocco's general prosecutor also confirmed that a video in which the suspects swear allegiance to ISIS and threaten to carry out attacks is authentic, CBS News correspondent Holly Williams reports. Commenting on that video, the NCIS said that "neither Norway nor Denmark was mentioned in the video, nor was there anything specific about what action they should perform." Four men have been detained in Morocco, and authorities there consider the killings of two female students to be a terrorist act. The women from Norway and Denmark had been hiking, and two French hikers discovered their bodies discovered Monday with stab wounds in their necks, Williams reports. The women have been identified as 24-year-old Louisa Vesterager Jespersen of Denmark and 28-year-old Norwegian citizen Maren Ueland. They lived in southern Norway, where they attended university. The NCIS said it was trying to map the women's activities before their departure for Imlil village, a frequent starting point for treks to Mount Toubkal, North Africa's highest peak. The women were found about 6.2 miles from the center of the village. Williams reports that Morocco has experienced very few terror attacks in recent years - but many of its citizens have joined terrorist groups elsewhere, including ISIS. There are now fears that these murders could damage Morocco's crucial tourism industry, which makes up 10 percent of the country's income.